• Art and Camouflage: Concealment and deception in nature, art and war (North American Review, 1981). • Design in the Visual Arts (Prentice-Hall, 1984). • Illustration as an Art (Prentice-Hall, 1986). • False Colors: Art, design and modern camouflage (Bobolink Books, 2002). • Cook Book: Gertrude Stein, William Cook and Le Corbusier (Bobolink Books, 2006). • Camoupedia: A compendium of research on art, architecture and camouflage (Bobolink Books, 2009). • Ship Shape: A dazzle camouflage sourcebook (Bobolink Books, 2011). • Frank Lloyd Wright and Mason City: Architectural heart of the prairie (History Press, 2016). • Davenport, G. Eclogues (Johns Hopkins, 1981). • Bobolink Books, New Work: Mary Snyder Behrens (Gallery of Art, University of Northern Iowa, 2005). • Stevens, M. and S. Merilaita, eds., Animal Camouflage: Mechanisms and Function (Cambridge University Press, 2011). • Goldstein, B., ed., Encyclopedia of Sensation and Perception (Sage Publications, 2011). • Rothstein, H. and M. Whaley, eds., The Art and Science of Military Deception (Boston: Artech House, 2013). • Elias, A. et al., eds., Camouflage Cultures: Beyond the art of disappearance (Sydney University Press, 2015). • Viction Workshop, Camo Mania: New disruptive patterns in design (Victionary, 2017). 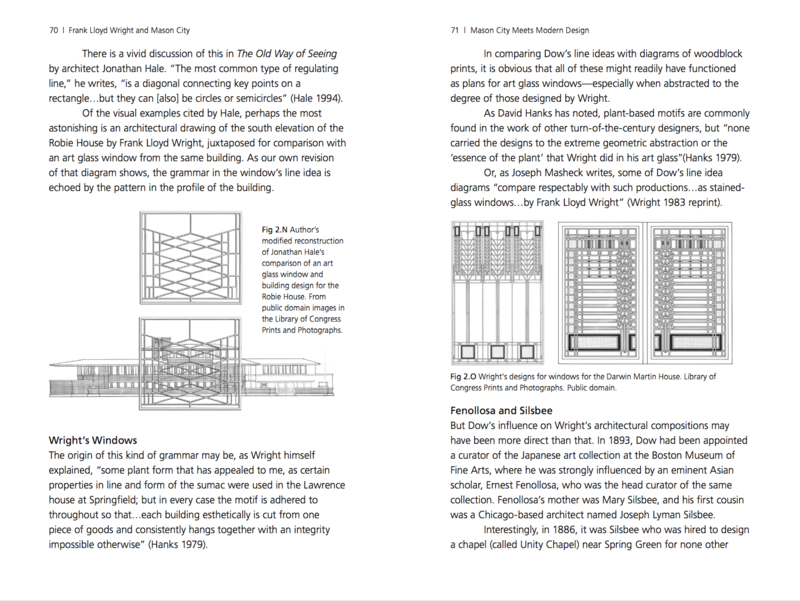 The cover and page spread of FLW and Mason City shown above are the author’s proposed design of the book, offered to the publisher at no cost, with the provision of changes as needed. Unfortunately, an alternative non-Wrightian style was used. Sorry, Frank.